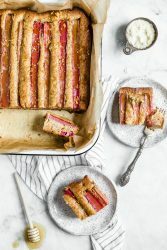 Rhubarb is one of my favorite things to bake with. The color makes you instantly happy. 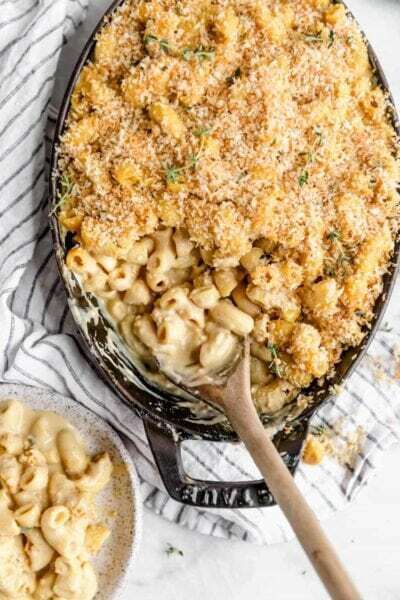 The versatility makes it so each dish is unique and special. And the flavor lends itself to a variety of pairings. 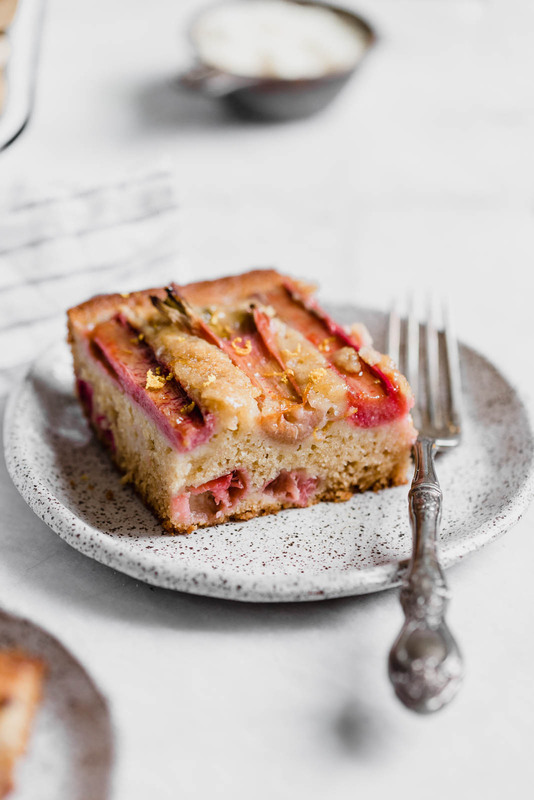 This pairing, ruby red stalks of rhubarb with wildflower honey and almond flour, is a total winner. It’s my favorite type of dessert to make: one that’s simple and made in one bowl, but that looks rustically beautiful and tempting you to devour it. 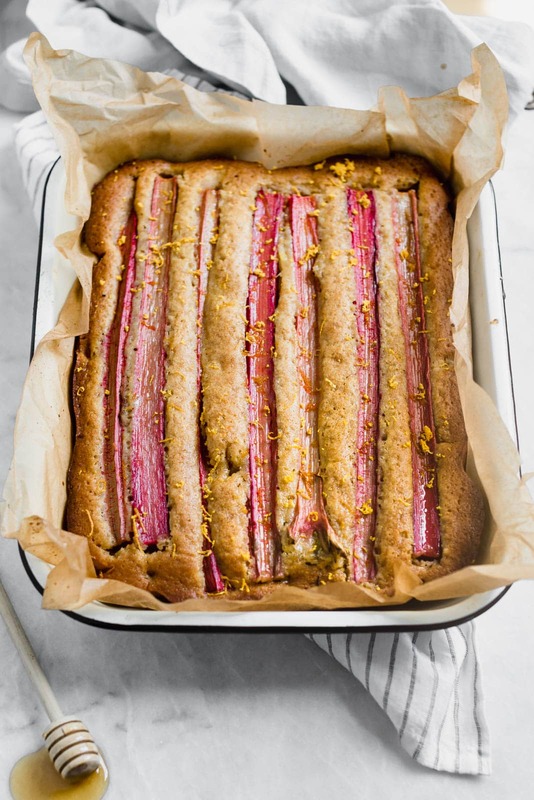 One thing that makes this cake such a knock-out is the use of Bob’s Red Mill almond flour. It changes the texture just slightly from a 100% all-purpose flour cake, giving the cake added moisture. I also love the size of the almond flour bags that Bob’s has. 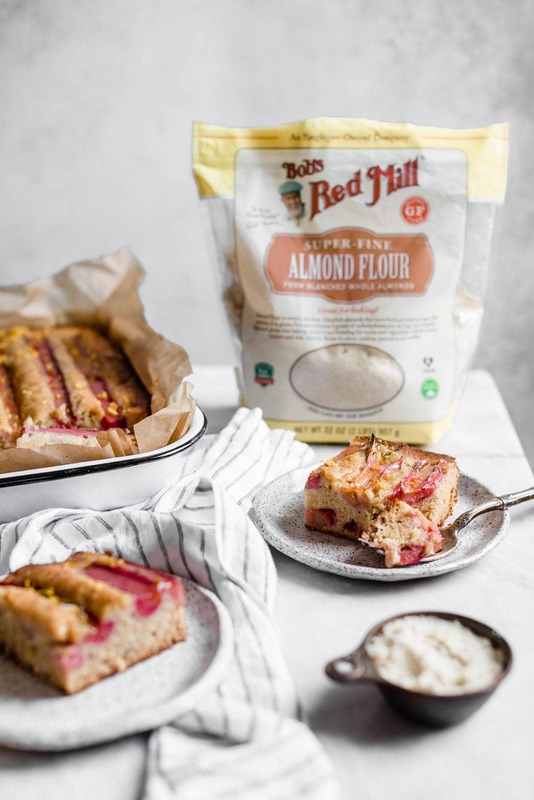 I find that I go through almond flour so quickly, so the larger bags are ideal for me. I’m taking this to a dinner party tonight and just SO excited to serve it. 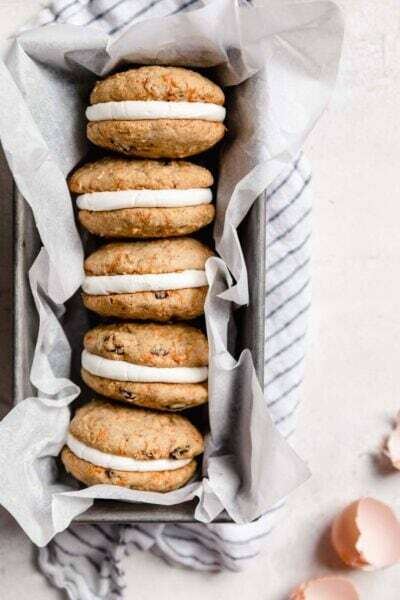 It came together in just 45 minutes, making it a quick and easy anytime dessert. 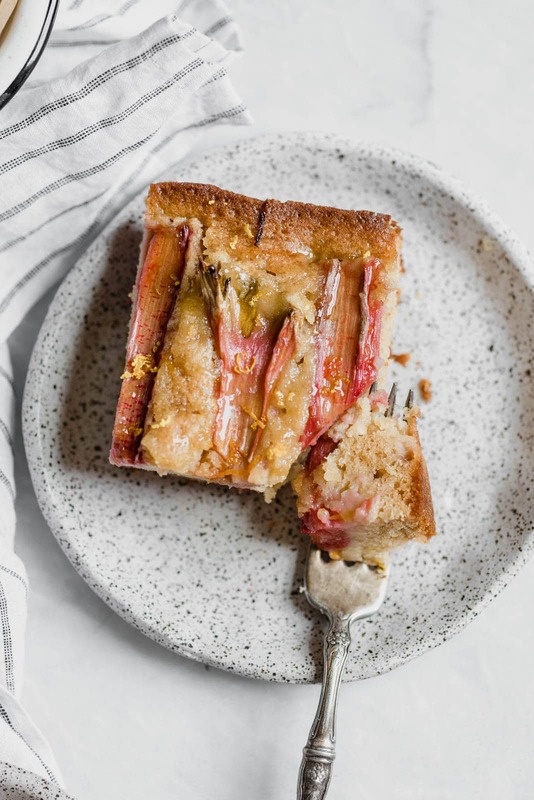 On a large sheet pan, toss rhubarb to coat in sugar, orange zest, and orange juice. Let sit while you make your cake. Preheat oven to 350°F. Line a 9×13 pan with parchment paper and set aside. In a large bowl, whisk together vegetable oil, eggs, both sugars, honey, orange juice, orange zest, almond extract, and vanilla extract. 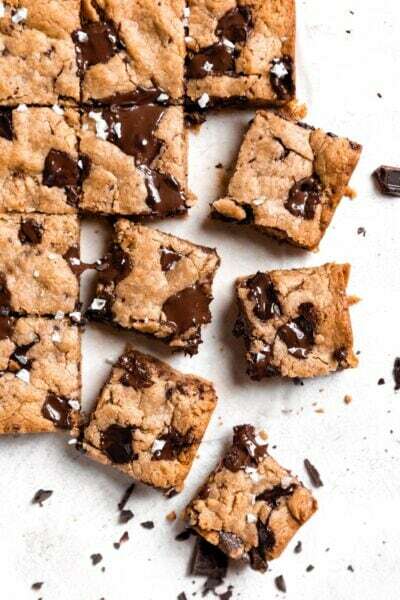 Fold in all-purpose flour, almond flour, baking powder, baking soda, and salt, stirring until just combined. Cut rhubarb stalks to size so they fit the entire length of the 9×13 pan. Cut the remaining/leftover stalk pieces into 1/2 inch pieces. Fold pieces into cake batter. Spoon cake batter into prepared pan. Top with the longer rhubarb stalks. Bake cake for 30-35 minutes, until just golden brown. Allow to cool completely before serving. Lovely and easy. 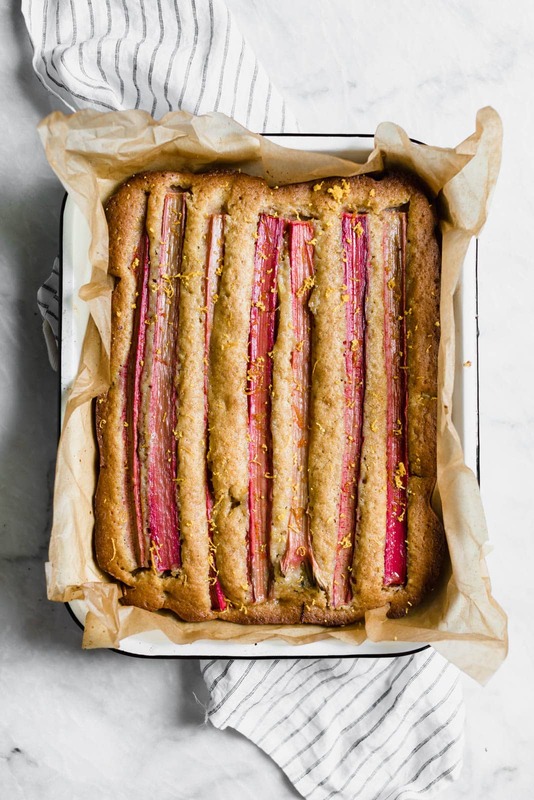 I need to buy a few of the ingredients and then I’m making a beautiful cake! 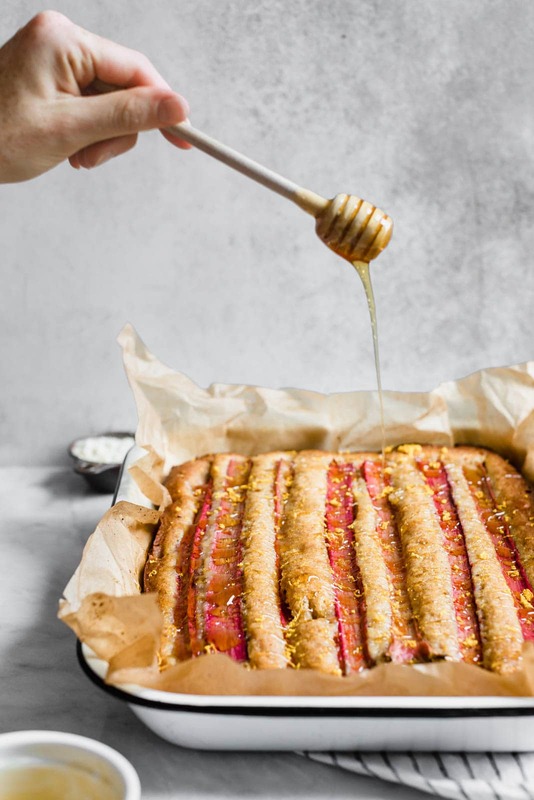 I love that honey drizzle – beautiful cake! Love all the flavors in this! Love Bob’s products! This is such a beautiful, simple cake! Looks amazing, loving these flavor combos!